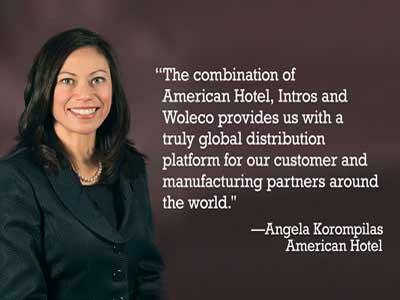 VERNON HILLS, IL—American Hotel Register Company has entered into an agreement to acquire Woleco Distribution from Hunter Amenities International. This acquisition does not include Woleco’s manufacturing division, which will continue to be operated by Hunter Amenities. Headquartered in Singapore, with sales and distribution offices in China, Thailand, Indonesia, Malaysia and Taiwan, Woleco is a supplier of amenities in the Asia-Pacific market. Its distribution division will become a wholly owned subsidiary of American Hotel and, according to the company, its established distribution network will provide customers with streamlined supply chain management and consistent, high-quality customer care throughout the Asia-Pacific region. This acquisition further extends the company’s supply chain, following the previous acquisition of Amsterdam-based Intros Hotel Supplies, which serves Europe, the Middle East and Africa with additional offices in Dubai (UAE) and Johannesburg, South Africa. The acquisition also provides enhanced distribution processes for Hunter’s portfolio of brands, said the company.